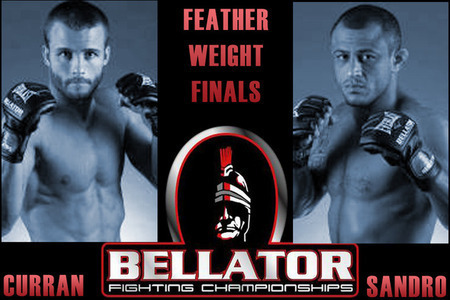 Pat Curran wins Bellator 48 Featherweight Tournament after defeating Marlon Sandro through a head-kick knockout. Pat Curran has just added himself on the win column after defeating former Sengoku Featherweight Champion and Pancrase Featherweight Champion, Marlon Sandro, at Bellator 48 last Saturday. Viewers of the said bout were all amazed as Curran finished Sandro in just four minutes after the second round through a knockout via head kick. See the video of the match’s second round below. Bellator 48 took place at the Mohegan Sun Arena in Uncasville, Connecticut. The evening’s main card, which headlined the “Summer Series” featherweight tournament bout between Pat Curran and Marlon Sandro, was aired live in MTV2. By having this featherweight victory, Pat Curran now earns a future title shot against Joe Warren. He had also won his lightweight bout during the Bellator Season Two, making him the first fighter under the promotion who has successfully attained two different weight class tournaments in just a small period of time.